When Alibaba Cloud wanted to beef up its backend platforms, the company did not reach out to large enterprise technology giants. Instead, it engaged the services of To The New, an up-and-coming SaaS-based integrated solutions provider based in Noida. Similarly, when a large American retail giant needed to build an end-to-end order management system with multiple channels, it could have opted for a singular solution from the leading system management providers. Instead, the company zeroed in on an in-built all-in-one solution from Cybage, an outsourced product development company which is headquartered in Pune. The dawn of the digital transformation era at enterprises has signalled the arrival of new-age technology firms which are not focussed on a singular specialisation, but instead have mastered the art of integrating several small solutions into a single customisable entity using the software-as-a-service (SaaS) model. 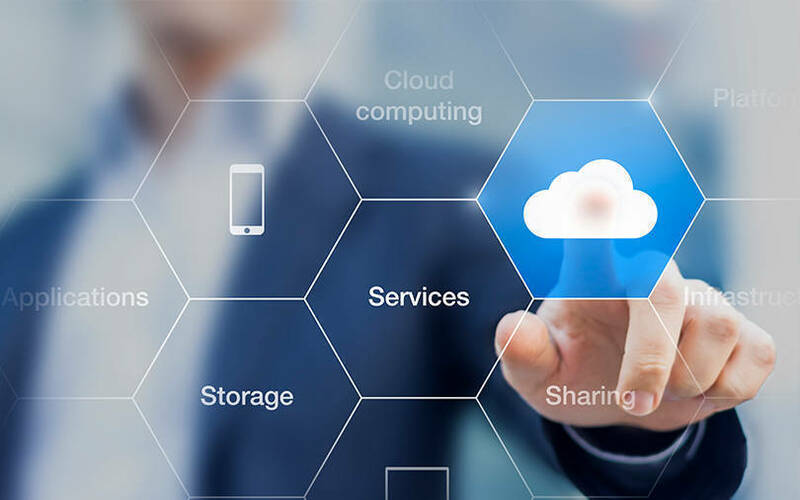 A Gartner research report has estimated that SaaS will be the largest revenue generator for the cloud, with an estimated growth of 17.8% to reach $85.1 billion this year. These digital transformation providers promise dynamic and innovative solutions at a lower time-to-market as compared to the IBMs and the Accentures of the industry. Among their prominent skill-sets is working on integrated offerings in a bid to make clients understand that they do not have to source ten different singular solutions to hit the target return on investment (ROI). But how are these up-and-coming vendors able to manage such integrations? For that, it’s important to understand the concept of monoliths — something still prevalent in many large enterprises today. Simply put, a monolith is an application that holds all the functional powers centrally, serving as a single place to store all data. A sample monolith would include different components of the application such as the business logic, user interface and data access layers which reside in one location. Although monoliths are easy to start out with, over time, they restrict movement to a different technology and hamper scalability. This is because making any small edits to the codebase will affect the entire application, irrespective of the size of the edit. Integrated solution providers counter this predicament with a basic rejig of the architecture, which gives rise to microservices. Microservices are essentially monoliths that have been broken into different pieces. Each piece then acts as a separate function that can be integrated with other similar pieces. The interaction is facilitated by Application Program Interfaces or APIs. In short, the reduction in the complexity of the system equips each microservice to have well-defined interfaces with each other. Apart from Alibaba Cloud, To The New also counts big names such as IndiGo, Tata Sky and Max Life Insurance among its clients. New-age digital transformation companies offer other advantages over large vendors such as easily measurable ROI. Vendor management is key to higher ROI within an enterprise and with integrated solutions, enterprise clients need not create a process for deciphering and calculating ROI of different vendors. The solution will crunch all the data at one point of contact. “Today going digital does not simply mean automation, but a method for enterprises to drastically increase ROI and if the solution is not a complete cycle that addresses all requirements, it becomes difficult to figure out success,” said Jagat Pal Singh, chief technology officer at Cybage. Also, most SaaS companies take an agile approach to delivery, thanks to the multiple APIs available. Hence, solutions can be deployed much sooner, or the most important parts of the program can go live first, instead of waiting for a long time for the final product to be released. “If you have ten features, a typical large company would mostly take ten months to get into final implementation in a waterfall-style model. However, with an agile model we will first deploy the three most important features, and the minimum viable products (MVP) to be launched within the first three months, with other features being added incrementally in the following weeks,” said Cybage’s Singh. Previously, the success of technology companies lay in their focus on a solution for a particular industry vertical. However, modern technology companies are inclined towards a more horizontal approach to software creation, whereby the same solution can be deployed across different verticals. This results in a more competitive atmosphere among vendors which can lead to lower costs. “A horizontal approach to digital transformation creates a level playing field among all competitors,” said Cybage’s Singh. Customisation is another plus that integrated solution providers bring to the table. They usually deal with small vendors who provide an innovative approach to large enterprises. In highly-competitive industry verticals, the quick delivery of customised innovation via swift updates could make all the difference. Furthermore. large enterprise technology companies are usually committed to a particular vendor, such as SAP for enterprise resource planning (ERP) or Salesforce for Customer Relationship Management (CRM). Such an approach might not provide the enterprise with multiple options to choose from. “For companies to mature in digital transformation, they have to retire vendor dependency as customers are particular that the service provider is not in favour of one particular vendor,” said Cybage's Singh. But while the smaller players are both surviving and thriving at the moment, it could only be a matter of time before software giants get into the groove of microservices themselves and start taking a horizontal approach to providing integrated solutions. But the agility and ease of integration that smaller players offer may give them an edge. “Although the whole industry seems to be moving towards microservices, we are more native to the approach as it is the only way of working we have dealt with,” said To The New’s Mittal.